AARP has worked social change for seniors for over 50 years; however, not everyone agrees with the social or political changes AARP pursues. There are a number of conservative senior citizen organizations that oppose the AARP organization's work with social and political agendas that may feel more comfortable for some senior citizens. The current political climate has some seniors worried about their financial future. At one time, AARP was the advocacy group most seniors turned to in difficult times, but today not everyone is happy with the direction AARP has chosen to go. As a result, seniors have organized into other, more conservative, groups. A clear example of this came about in 2009 when thousands of AARP members left the ranks after AARP decided to support President Obama's healthcare agenda. While AARP continues as an advocate for senior citizens on healthcare and other issues, not all seniors agree with AARP's principles or approach. The 60 Plus American Association of Senior Citizens is looked upon as a conservative alternative to AARP. Established in 1992, this non-partisan group of senior citizens has grown to more than 500,000 people who believe in smaller government and lower taxes. Their top priorities include the fight to end the inheritance tax, which founder James L. Martin coined the "death tax," and taking steps to help save social security for future generations. 60 Plus members can sign up online through the 60 Plus website at no charge. However, there is a button that offers the choice to make a contribution for those who want to support the effort. Illegal aliens: Their stand on illegal aliens is based on the belief that people who enter the country illegally are lawbreakers and, as such, should not be eligible for Social Security. Medicare reform: ASA believes Medicare is a wasteful and widely-abused federal program that needs to be changed. Social Security reform: ASA offers alternatives to the current organization of Social Security. The goal is to keep the system solvent and safe from government interference. Tax reform: The goal in tax reform is to simplify the tax code so it can be easily understood. ASA suggests the way to do this is through the Fair Tax. Membership is less than what AARP charges. Like AARP, ASA offers a number of benefits for members, including prescription discounts, insurance products, travel benefits and more. For more information on specific benefits, ASA website. 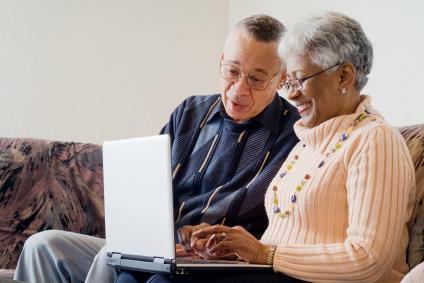 Seniors have plenty of hot button issues and concerns relating to finances, health, and more. With a variety of senior advocacy organizations to choose from, it may seem a little overwhelming or confusing. AARP has been around a long time, but it doesn't represent every senior's values and goals. Take the time to research and evaluate the different advocacy groups in order to find the organization(s) that represents the direction you want to go in. When you do, take the time to register and become a member; it's one small step that can make a difference.